She graduated from La Scala in 2013, has since trained and performed with some of the world’s greatest ballet companies. Nicoletta is now heading ‘Down Under’ for the Queensland Performing Arts Centre’s Teatro alla Scala tour of ‘Don Quixote’ and ‘Giselle’ in November. Have you ever been to Australia? 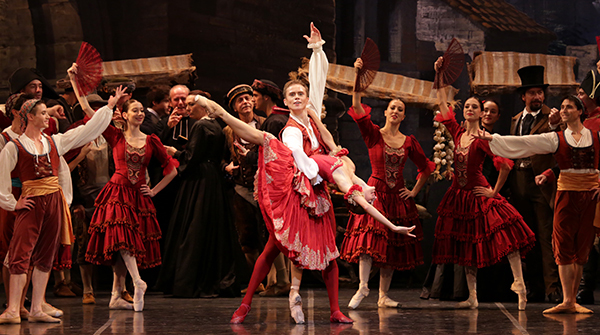 Or is the November QPAC Teatro alla Scala tour your first time performing on the Australian stage? I went to Australia in June for a promotional visit about our tour in November but I've never performed on an Australian stage, so in November it will be my second time in Australia but my first time on stage. This will be the very first tour of Teatro alla Scala in this wonderful country. I really can't wait to be there dancing with the Scala Ballet Company. Nicoletta, at just 13 years of age you showed such incredible promise as a professional ballerina that you were admitted to the fourth course at the Ballet School of the Teatro alla Scala Academy. What did that mean to you at such a young age? How had you already committed yourself to the lifestyle of a ballerina? When I was 12 I asked my Mum if I could participate in the La Scala Ballet School audition, so I moved to Milan at the age of 13. My life changed completely, coming from a small village to a big city, alone without my parents. It is not easy for that age, but my passion and my determination was always stronger than anything else. You are originally from Lecce, a province in Puglia in Italy’s south. What do you miss most about ‘home’ when you’re travelling and working? Unfortunately, I don't manage to spend much time in my beautiful home town and when I am away from home first of all I miss my parents, my brother and all my family - they mean so much to me. Then for sure the sea is something I really miss all year round. Some might consider you a ‘citizen of the world’, given your line of work. What do you hold dear about your Italian identity? Is there anything you are particularly proud of? I travel often for work and I am really proud to be like an “Italian Ambassador” in the world! I am proud of our art, beauty, food, fashion ... and many other things. It is so nice as an Italian to go everywhere else in the world and see how people appreciate Italy! Throughout your training and early work you were able to travel and work with some of the world’s most famous companies. Is there an experience that stands out as particularly memorable or important to those early years in your training? I consider everything I am able to do in my dancing career as something important to grow as an artist and ballerina. For sure my first year in La Scala Ballet Company was so intense and full of everything. I was always dreaming about that and it will stay forever in my mind, but I could continue for long time. 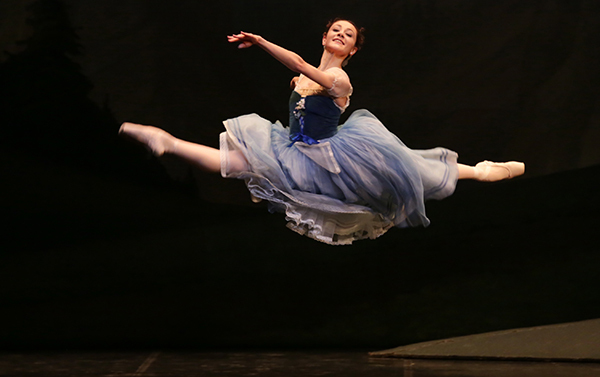 In April 2014 you were promoted to Prima Ballerina of Teatro alla Scala. How did this new role change your life? How does it feel? Prima Ballerina of La Scala! Wow, I am still thrilled when I think about it. It is a dream for every little dancer and when it happened to me my heart was exploding! It is a big responsibility every day. You have a title and you represent a Theatre, it is work that never ends. Being a prima ballerina for me it is just the starting point, I will never stop dreaming! In this November tour you are performing as Principal Dancer in both ‘Don Quixote’ which is so bright and explosive, and ‘Giselle’ which in contrast is far more haunting. Tell us a little bit about your roles and how you go about preparing for two such contrasting performances simultaneously. I will be performing different roles very different from each other. But this is the beauty and the challenge of our work - one day I can be the explosive Kitri and the next day the ethereal Giselle, with different partners and maybe in a different place. Both are roles that I've already performed in La Scala and in our tour and with whom I have confidence. Kitri is a strong, powerful, seductive Spanish woman and a hard technical role, she also has a bit of a romantic touch in some moments of the story. 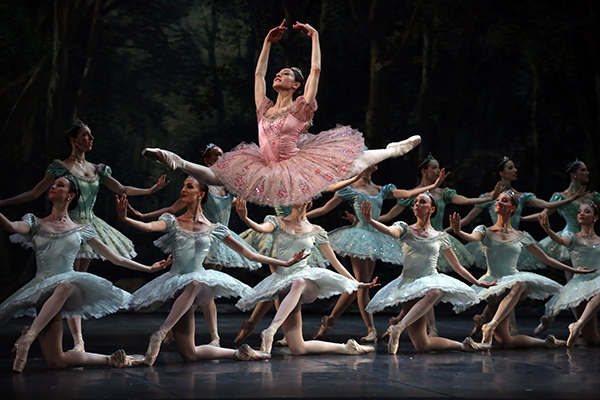 Giselle is one of the most romantic ballets. She is a young girl, leaving in a farm, so pure and naive that she falls in love with Albrecht who abandons her. She dies and in the second Act becomes a Willy, an ethereal spirit. What are you hoping Australian audiences will take away from this incredible tour of Teatro alla Scala? I was in Australia in June and I saw with my eyes how much people are exited for the La Scala tour in November. I was so impressed and it gave me even more excitement for our performances in Brisbane! I really hope that Australian audiences will enjoy our performances in Brisbane and the taste of tradition coming from one of the most ancient companies in the world. We will give all our energy to satisfy the expectations of the public. See you all there!